Cosmetic Dentistry is anything that makes someone’s smile look better. 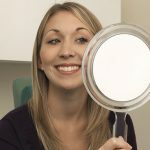 It could be as simple as shaving the edge of a tooth to even it out with the teeth next to it; or bonding a broken tooth to make it look better and match the neighboring teeth; or the more advanced cases in which we’re really treating your teeth, gums and bite comprehensively to create the perfect smile. If you’re unhappy with your teeth, a beautiful smile can still be yours. Advances in cosmetic dental care and training have made it possible for Granite Dental Group to completely redesign your smile, including porcelain veneers, crowns, porcelain dental bridges, whitening, tooth-colored fillings and more. Our dedicated team of doctors and staff can work out a customized and affordable plan that is right for you. Call today for an appointment.